When Xi Jinping takes office in November he will face serious challenges, but the Bo case is not likely to be one of them. With a trial all but certain to be, like those of Wang and Gu, Bo’s police chief and wife respectively, a tightly stage-managed affair ending in a conviction on all counts, Hu Jintao can count the wrapping-up of the Bo affair as his last major achievement as president – and indeed Bo’s indictment came paired with an announcement of November 8 as the firm date for the opening of the party conference at which he will hand power to his successor. I think this should finally lay to rest an account that has been surprisingly prevalent in overseas coverage during the last few months, a version of the story in which Beijing removed Bo from power only grudgingly, after their hand was forced by Wang’s flight to the U.S. Consulate and the revelation of the murder of the British national, Neil Heywood, by Bo’s wife. In fact, as I argued in The Diplomat back in March, Bo’s downfall was almost certainly the outcome of a lengthy political campaign by leaders at the highest levels of the government rather than an accident. Given his conspicuous habits and his willingness to flout Party rules prohibiting freelance politics, Bo’s arrest was probably needed to protect the consensus-driven model of Party governance. Bo gave his enemies powerful weapons to use against him – his self-aggrandizing style led to rumors that his personal popularity and power might make it possible for him to force his way onto the Politburo Standing Committee, and possibly become a popular rival to new president Xi Jinping. There were other extremely remote possibilities – such as that the people of Chongqing might demonstrate to support him or that the regional military (with which he was rumored to have cultivated an unusually close relationship) might try to intervene on his behalf – but they so closely resemble the Chinese leaderships’ nightmares that they would have been powerful arguments for action against him. With issues like these at stake, stern punishment will be necessary – lest other ambitious provincial governors start embracing Bo’s unorthodox – and dangerous – methods. 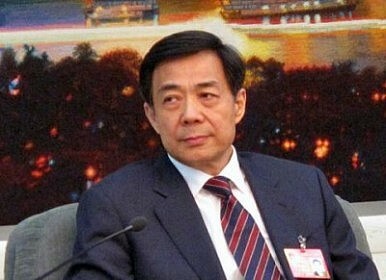 While Bo’s case is by far the most colorful scandal of China’s recent history, it has so far proved to be not much more of a challenge than either of the “two Chens” – the leaders of Beijing and Shanghai who were removed from office and prosecuted for corruption early in the terms of Jiang Zemin and Hu Jintao, respectively. Both men represented major centers of opposition to the new presidents and were removed after processes which resemble that used for Bo Xilai –Alice Miller compared the Bo case with the Chens at length in August’s China Leadership Monitor (PDF). So Bo’s case appears to follow established precedent – sudden removal from office, followed by a long period of waiting while the trials of subordinates are held to pave the way for an eventual formal trial of the purged official. It may even be possible to conclude that Bo’s case fits a quota of one high-profile scandal per transition cycle. Where the Bo case is significantly different from the Chens, however, is that it is taking place at the end of Hu’s term rather than at the beginning of Xi’s – and that Bo seems to have been a major irritant for Hu. Bo’s removal may provide Hu an opportunity to put a stronger stamp on the next generation of Chinese leaders – but he has also done Xi a favor, lending the power and political skill of ten years as president to the difficult task of negotiating a consensus among top-level leaders over dealing with the case, and allowing Xi to come into office with a major problem already on its way to resolution. While the Bo case has been messy and somewhat embarrassing for the Party, dealing with it before the transition was lancing a boil – it allows Hu to hand over a clean house, rid of a possibly embarrassing rival. When Xi takes office in November he will face serious challenges, but the Bo case is not likely to be one of them. David Cohen is a freelance journalist. He blogs at www.sinocentric.net and his writing has appeared in the Christian Science Monitor, the Guardian Online, the Global Times, the China Daily and the Lowy Interpreter among other publications. He is a contributor to The Diplomat’s China Power blog. Where in the World is Xi Jinping? With China’s President-in-waiting cancelling meetings with foreign dignitaries, speculation has run wild. China’s Political Spectrum under Xi JinpingChina's Factional Politics Just Who is Xi Jinping?Will the Real Chinese Leaders Please Stand Up?Is China's Communist Party Doomed?